A sustainable building design looks like a normal building, but is designed and constructed to include the principles of sustainable design which attempts to balance environmental considerations. ARCPANEL is proud to be associated with organisations that work towards a more sustainable future. Over 30 years ago, ARCPANEL was formed from the need to preserve our natural precious resources and the environment. ARCPANEL is committed to the research and development of products that will contribute to the development of green building practices and the enhancement of sustainable design and provides added value through reducing life-cycle building costs. ARCPANEL has demonstrated a firm commitment to supplying sustainable building products to the building industry through an external audit by ecospecifier, an online knowledge database. A Green Star pre-assessment conducted by ecospecifier for our Custom roof panel and Ecotek roof panel has confirmed that Green Star Credits can be achieved by including these products as part of the building. Today, ARCPANEL’s innovative products continue to challenge and change the poor image of construction in Australia and overseas. 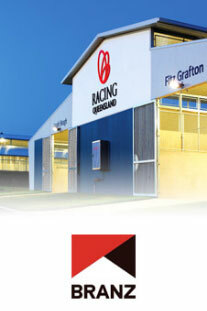 ARCPANEL offers a range of building systems over most applications in the construction industry which, when finished, are not only completely conventional in appearance they provide superior aesthetics and offer additional benefits such as increased build speed, enhanced build quality and floor/ceiling space savings. *Note: (GreenStarTM is a voluntary rating system developed by the Green Building Council of Australia, to evaluate the environmental design, efficiency and performance of Australian buildings). 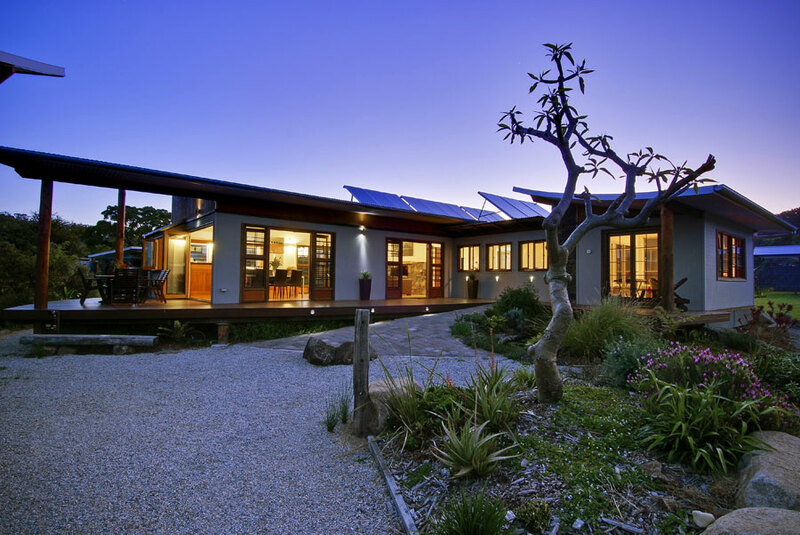 The Project: The Ecovillage at Currumbin is located on a semi-rural site on the Gold Coast, Queensland. The project comprises of 144 homes and a village centre including community facilities, home offices and retail space, on 110 hectares of land. 50% of the site has been retained as environmental reserve, with a further 30% dedicated to open space. The goal of the developer was to establish a diverse and integrated community for residents of different cultural and socioeconomic backgrounds. ARCPANEL roof panels were used to provide a roofing system that has excellent thermal efficiency, creating more comfort within each home. Large cantilevers increased the roof area and allowed greater rain water catchments and harvesting. The large cantilevers also provide an open aspect which lets in natural light.